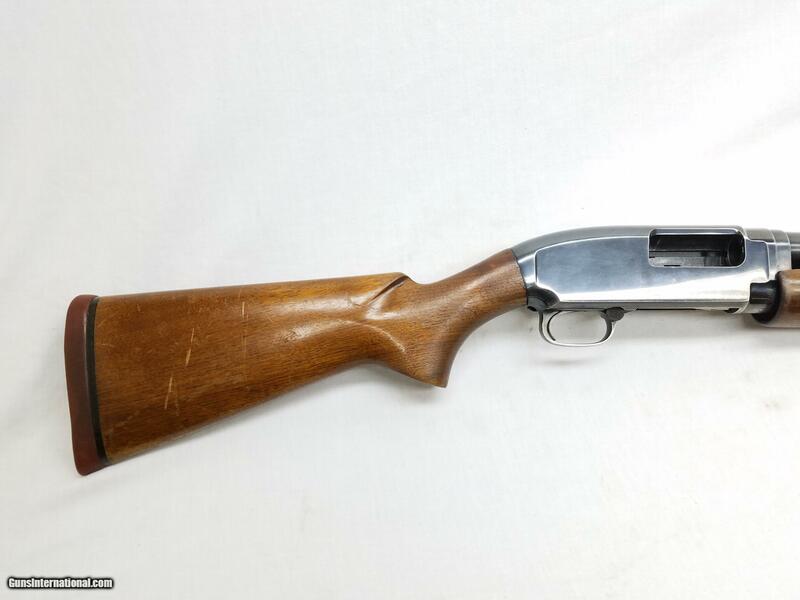 Category - Winchester Shotguns - Model 12 - Shotguns - Duck & Goose or Turkey 3"
This is a Winchester Model 12 “Super-X” chambered for 2-¾” or 3” 12 gauge shotshells. 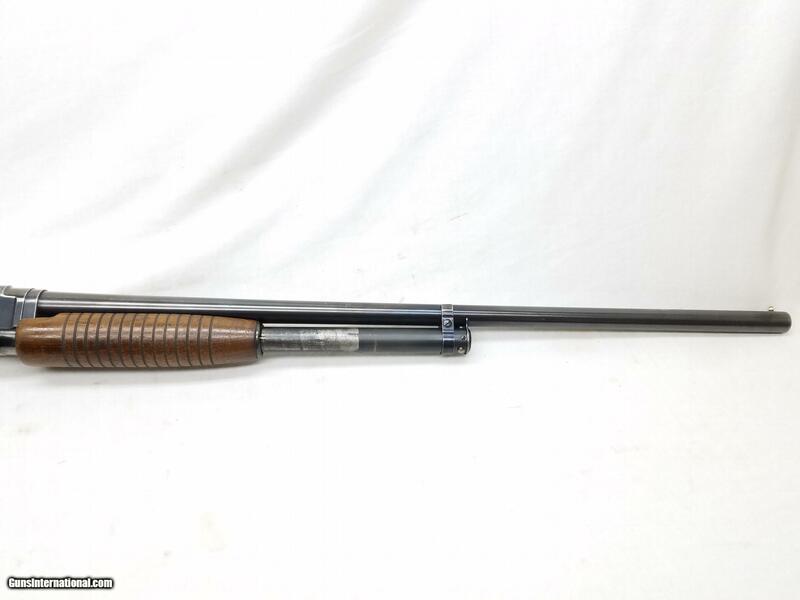 The 30” blued barrel is in good condition with some light finish wear but no corrosion. The bore is smooth and undamaged. 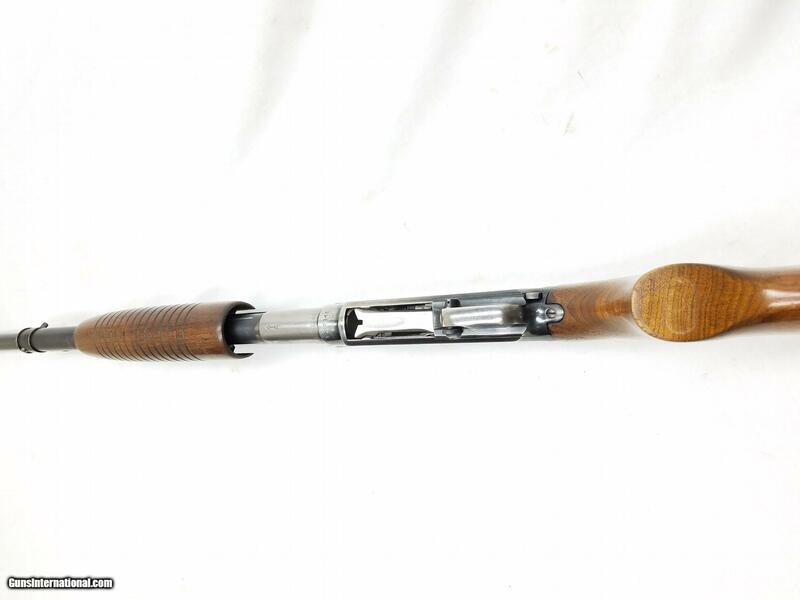 There is some finish wear on the magazine tube, but like the barrel it is uncorroded. The blued receiver has some finish wear around the edges and towards the bottom. 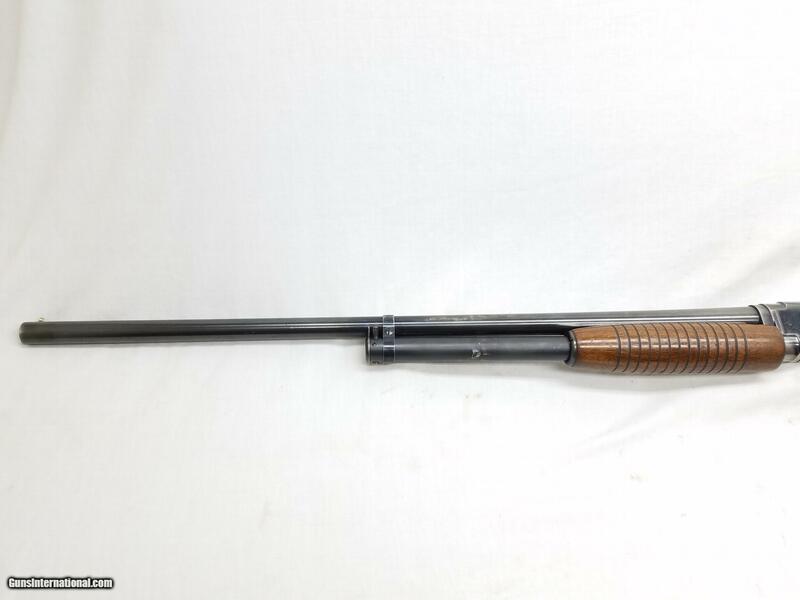 The walnut forend and buttstock with 1” recoil pad are in acceptable condition. 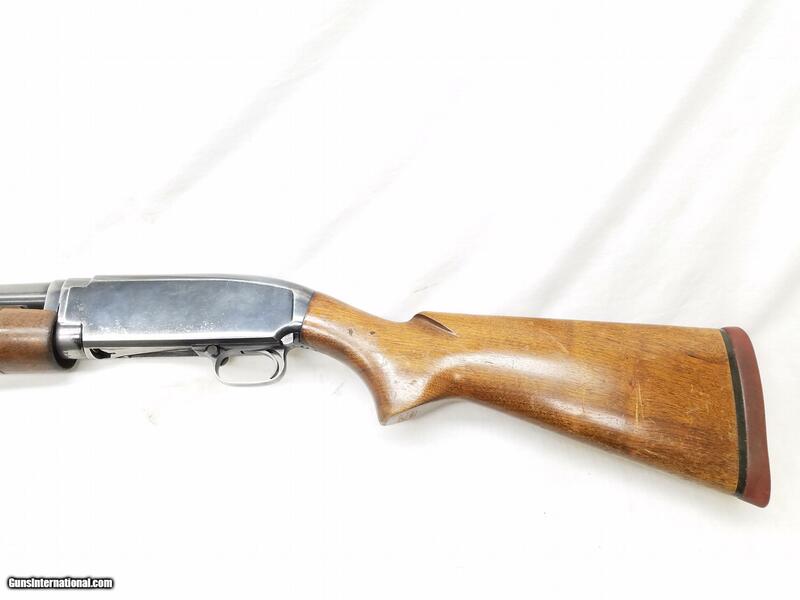 There are scattered scrapes and scratches on the buttstock, some of which disturb the finish. 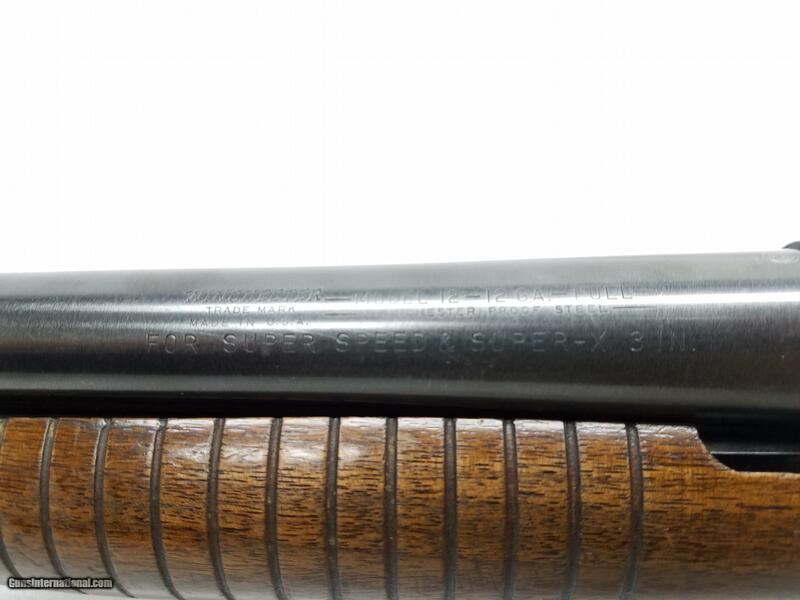 The forend has some light scratches as well, but they do not damage the finish. 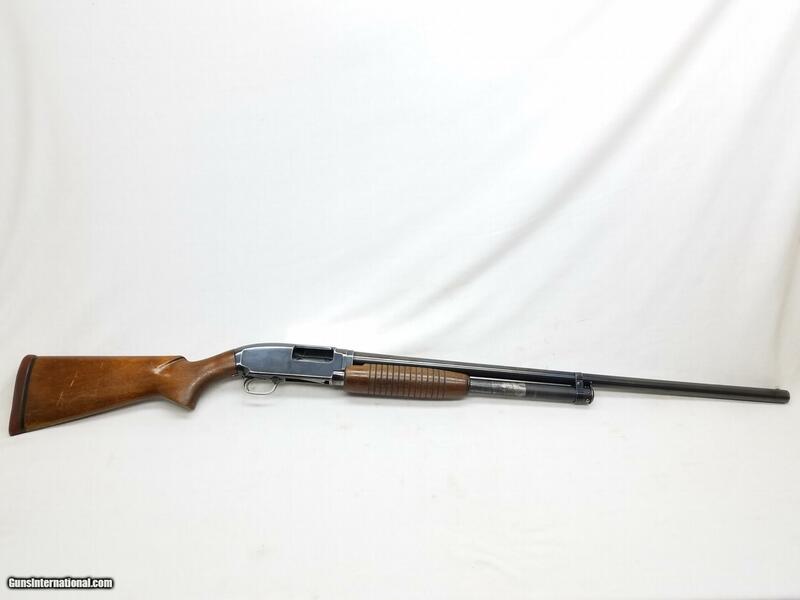 Length of pull is 14”, overall length is 49”, and weight is 8.2 lbs. Our stock number is #A500. Willing to ship anywhere in the US to your FFL, buyer pays freight and insurance. 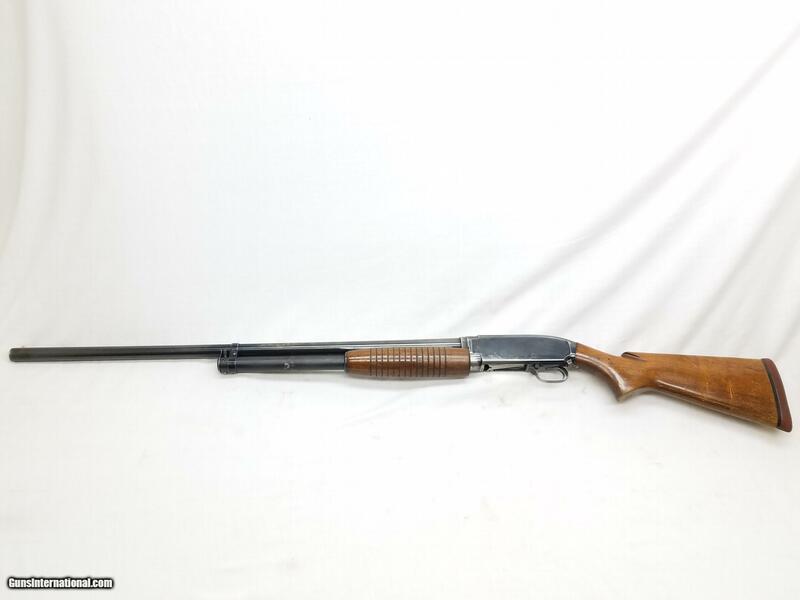 Category: Winchester Shotguns - Model 12 - Shotguns - Duck & Goose or Turkey 3"